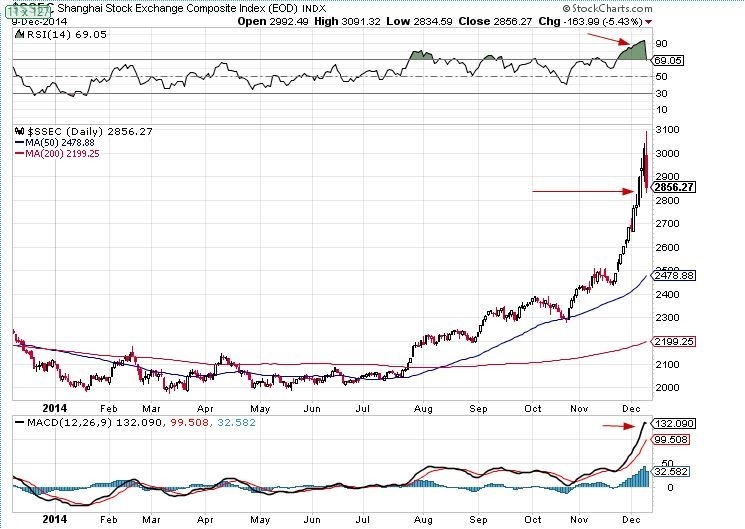 One day ago we showed the Shanghai index as an example of a stock market gone mad. The next day this index drops by 5.4% but during the day must have been down about 8.3%. This market is losing any connection with reality that it might have had. With this market resembling a casino and with an economy that has massive overcapacity in every direction Schumpeter’s creative destruction should start in earnest any moment now.